We Do Your Internet Marketing or WDYIM for short, does exactly what our name states for small business owners. 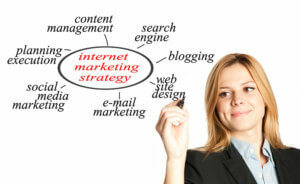 Internet Marketing is one of the most effective ways to promote your business, products or services. It is also a very fast paced and ever-changing environment which requires a knowledge of Website Design, Content Creation, Search Engine Marketing (SEM), Search Engine Optimization (SEO), Social Media Marketing, Email Marketing, Industry Specific Marketing channels and more. Finding the time to keep up with the technical and marketing trends, along with creating and implementing a consistent long term strategy can be very challenging. That’s where we can help! We help small business owners capitalize on the latest Internet Marketing trends and grow their online reach. Have a look around our site and contact us so we can discuss your goals and put together an Internet Marketing Strategy that is cost effective and works for you! At We Do Your Internet Marketing, we want to be your link to online promotion!